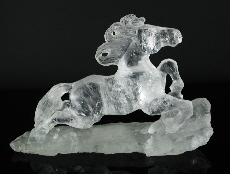 Exquisite, hand-crafted, gemstone carvings - from crystal cats to Buddhas and owls, from hearts and stars to angels and bunnies! Crystal statues to suit every taste and pocket. Many of these carvings are one-offs and all come cleansed and blessed.